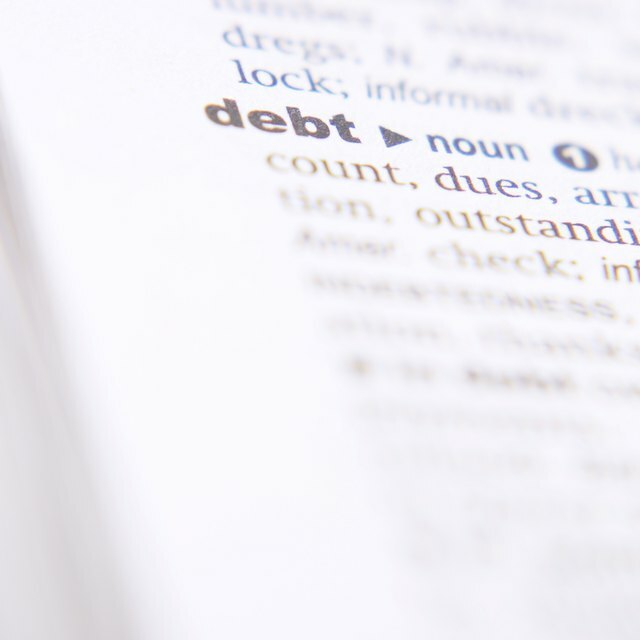 Although creditors typically limit collection activities for unpaid debts to phone calls and letters, a severely delinquent debt may invite more aggressive collection activity, particularly if you make no effort to resolve your debt. In some cases, collection may involve seizure of your personal assets, including valuables and cash kept in a safe deposit box. Creditors don't get an easy ride, however. They'll have to get a court judgment for the debt, and they may need a second judgment authorizing them to seize your safe deposit box. While creditors can seize a safe deposit box, this is usually a last resort and requires obtaining a judgement and placing a lien on your personal property. The creditor then has to locate your safe deposit box and have the approval to seize and liquidate it. A creditor can start making phone calls as soon as you owe them money, but they can't take the matter further without a judgment debt. This means the creditor has to get a court judgment ordering you to pay the money you owe. A creditor obtains a judgment by suing you in civil court, usually in your home county. After the creditor files a lawsuit, you will have an opportunity to respond in writing or at a hearing. If you fail to respond, the court will enter a default judgment against you, which gives the plaintiff secured creditor status. After receiving a judgment, a creditor may immediately place a lien on any property you own, subject to your state's exemptions and limitations. A lien gives a creditor the right to be paid a certain amount of money from the sales proceeds when the property is eventually sold. Most times, a creditor will place a lien over real property such as your house. However, it's possible to place a lien over personal property such as artwork, jewelry and a safe deposit box. You must tell a buyer about the lien, so the idea here is to stop you liquidating the contents of your safe deposit box without paying what you owe. Liens over personal property are tricky to enforce, and the creditor may not know that you own a safe deposit box in the first place. It is more likely, therefore, that the creditor will petition the court for a second court order known as a writ of garnishment and execution. This order will give the creditor the right to request funds directly from your bank account and to check for any safe deposit boxes in your name. At that point, the creditor can seize your safe deposit box, sell its contents and use the proceeds to pay your judgment debt. For a judgment creditor, locating property contained in a safe deposit box represents one of the most significant difficulties in liquidating these assets. Most states allow creditors to question judgment debtors about their assets, either in writing or by ordering a court hearing. You must fully disclose all of your assets if you receive notice of a hearing or a debtor's examination letter. Failure to respond can result in contempt of court charges and possible imprisonment. Free Credit Report: Can Creditors Withdraw from Your Bank Account Without Authorization?